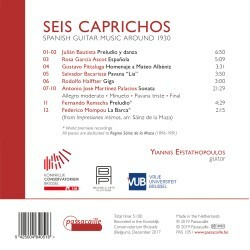 Spanish Guitar music from around 1930 with works dedicated to Regino Sáinz de la Maza (1896-1981). 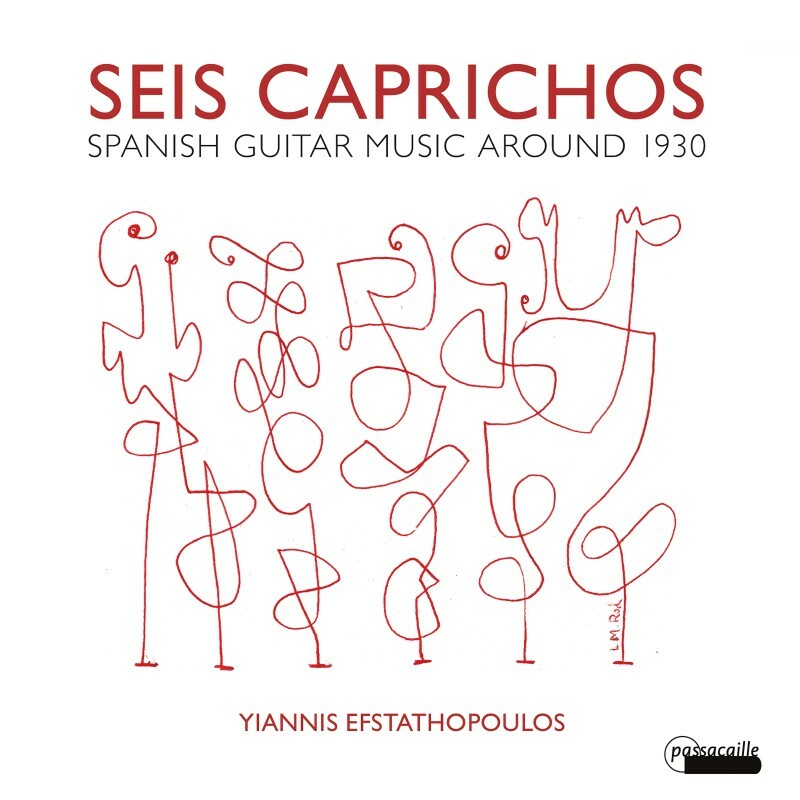 Yiannnis Efstathopoulos performs with an historical informed approach, using a Spanish guitar modelled on the type that was used around 1930 with gut strings. this results in highlighting each string’s individual character and the delicate balance between the high and low strings. Works by Julián Bautista, Rosa Gariía Ascot, Gustavo Pittaluga, Salvador Bacarisse, Rodolfo Halffter, Antonio José Martínez Palacios, Fernando Remacha and Federico Mompou. This CD unites a substantial selection of exceptional historical musicians, repertoire and instruments. The works on this recording were choosen as much for their intrinsic musical value as for their links to the Generación del 27 [Generation of ‘27], a literary movement which marked an inflection point in the history of modern art in Spain. Importantly, this recording features some of the first solo pieces ever written by non-guitarist composers, but who were working in an atmosphere that could be best described as a guitar renaissance. Many of these works were dedicated to Regino Sáinz de la Maza (1896-1981), an outstanding guitarist of the Madrid scene that the Generación del 27 circle were quick to extol as one of the most influential champions of his instrument. Many of these compositions, however, suffered from the socio-political consequences of Franco’s regime: because of the Generación del 27’s strong ties to the Republican fraction before the Spanish Civil War (1936-1939) they remained virtually ignored until after Franco’s death in 1975. Although Antonio José’s finest Sonata (1933) was eventually published in 1990 many other pieces, such as Bacarisse’s Pavane and Remacha’s Prelude, have resurfaced only in recent years. The use of gut-strings on the instrument forces us to reconsider its origins and identity, and to look anew at what we know, think, and feel about the Spanish guitar :the fact that in 1946 nylon strings were invented, however, slightly complicates the issue of historical performance practice, as they from then on have in general superseded gut strings. While this change in string material is often simply considered a matter of practicality, it had in fact a dramatic impact on guitar making and playing technique, and eventually led to a whole new aesthetic. 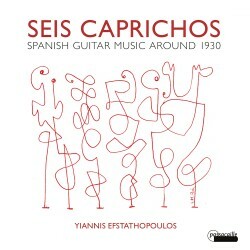 An historical approach to the Spanish guitar, on the other hand, highlights each string’s individual character and the delicate balance between the high and low strings.